There are some reports of 5" 2016 Pixels also being affected, but the vast majority of complaints are coming from Pixel XL owners. 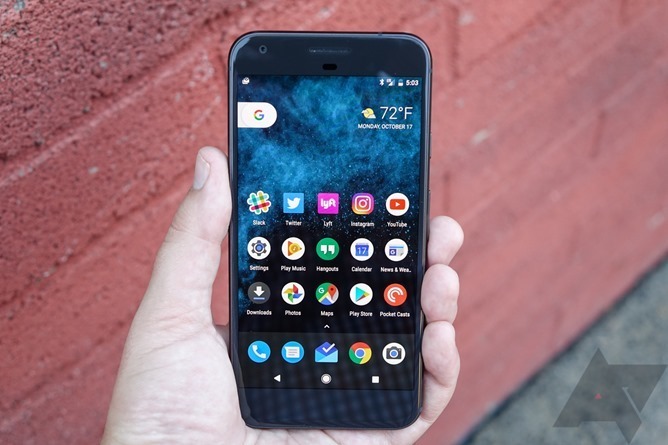 Over the past few weeks, some owners of the 2016 Pixel XL have reported problems using quick chargers on Android P. For most of that time, Android P was still in beta, so bugs were to be expected. Unfortunately, issues with quick charging are still present in the final 9.0 release. As you may already know, all Pixel phones use USB Power Delivery (USB-PD) for quick charging. Any plug/cable/computer/battery certified for USB-PD should charge the phone at a rate of (at least) 5V/3A, and Android will show a 'Charging rapidly' message on the lock screen. On the most recent builds of Android P, including the final release, many 2016 Pixel XL owners are saying their USB-PD batteries/cables no longer cause the 'Charging rapidly' message to appear. The original report on the Google Issue Tracker was closed a few days ago, and marked as "Won't Fix (Infeasible)." AOSP documentation defines 'Infeasable' as, "The changes that are needed to address the issue are not reasonably possible. This status is also used for issues reported that cannot be handled in AOSP, typically because it is related to a customized device or to an external application, or the reporter mistook this tracker as a help forum." Another issue has been opened on the Google Tracker, with one user saying, "[My] Pixel XL charger says Charging Rapidly every time. All others either say Charging or Charging Slowly - never says Charging Rapidly. This includes 2 Google chargers / USB C cables (1 from 6P pack in and 1 from Google Store), 1 battery backup using a Google USB C supplied cable, and a third party charger and cable. All of which charged the phone "rapidly" 100% of the time before the update." Another said, "Same problem on my Pixel XL. Fast charge never works, original charger." At the moment, there's no telling what the root cause is. Perhaps Google has changed the internal logic for detecting what counts as "fast charging," or increased safety measures have been put in place. The 5-inch 2016 Pixel seems to be unaffected, adding more to the mystery. "We're aware of an issue where non-Power Delivery (PD) USB-C chargers no longer rapidly charge the 2016 Pixel and Pixel XL after the upgrade to Android 9 Pie. The 18W rapid charger included in-box is a PD charger and does not exhibit this behavior. We are verifying a fix for non-PD USB-C chargers and will roll it out in the coming weeks."